The Cleveland Browns’ win over the Denver Broncos wasn’t pretty, but it was a victory that is yet another big step in the development of the franchise. The Cleveland Browns beat the Denver Broncos on the road, 17-16. 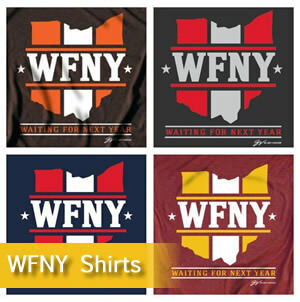 WFNY’s Joe Gilbert ranks the players he believes are the cornerstone players for the Cleveland Browns. The Cleveland Browns lost to the Houston Texans in convincing fashion, but the game produced lessons, both good and bad, for the team and their fans. Off of a two-game win streak, the Cleveland Browns lost on the road to the Houston Texans, 29-13. The success of the Cleveland Browns offense over the last few weeks can be attributed to many different things, but the offensive line definitely deserves some of the credit. With the help of a huge first half, the Cleveland Browns cruised to their fourth win of the season, beating the Cincinnati Bengals, 35-20. Cleveland Browns linebacker Joe Schobert is the linchpin of the Browns defense and is very important to the success of the unit. WFNY’s Joe Gilbert takes a look at what is next for the Cleveland Browns and their now vacant head coach position. The Cleveland Browns lost to the Pittsburgh Steelers, 33-18, in another poor performance at Heinz Field for the Browns franchise. The time is now for the Cleveland Browns to cut bait and fire Hue Jackson as the head coach of the team. The Cleveland Browns lost in overtime to the Tampa Bay Buccaneers, 26-23.